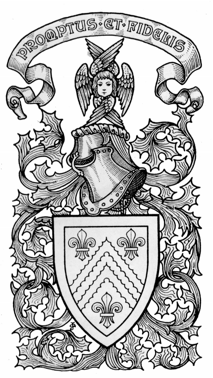 The Estate has been in the continuous ownership of the Carruthers family since 1452 – the present encumbent representing the 13th generation. Family legend has it that the Carruthers family may be descendants of ColeHen, King of Cumbria (or Old King Cole as he became known) because one of his sons, Rhideris, built a caer, or castle, near Ecclefechan. The Caer of Rhideris later became Carruthers. The remains of the old castle can be seen on the farm of that name – Carruthers Farm. The land of Dormont was first granted to the Carruthers family by Robert the Bruce. The house at Dormont was situated where the fishing lake car park is now. Originally there was a fortified tower with commanding views over the river Annan to the north. This was replaced in Georgian times with a very beautiful house which later burned down.